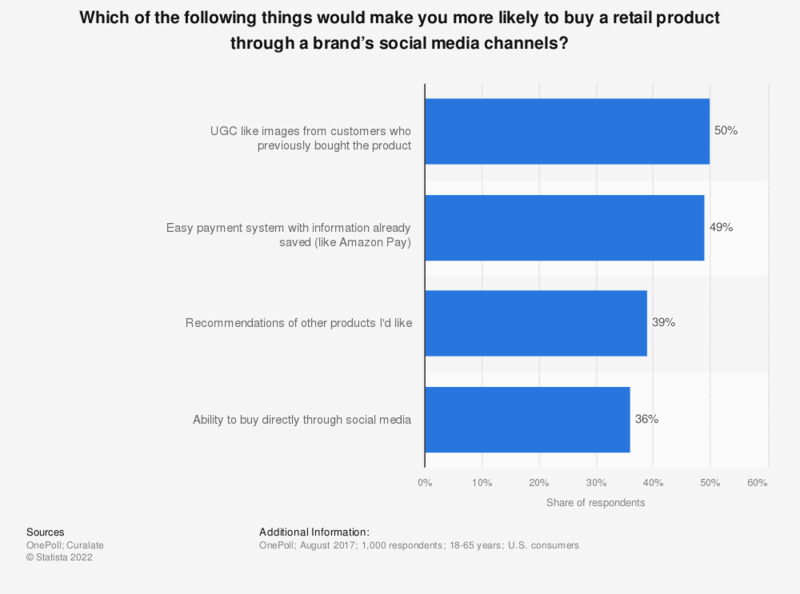 This statistic presents the factors most impacting U.S. consumers decision to buy a retail product through a brand's social media channel. According to the August 2017 findings, 50 percent of respondents stated that user-generated content such as images from customers who had previously purchased the product would increase their likelihood of buying. Question: "Which of the following things would make you more likely to buy a retail product through a brand’s social media channels?"